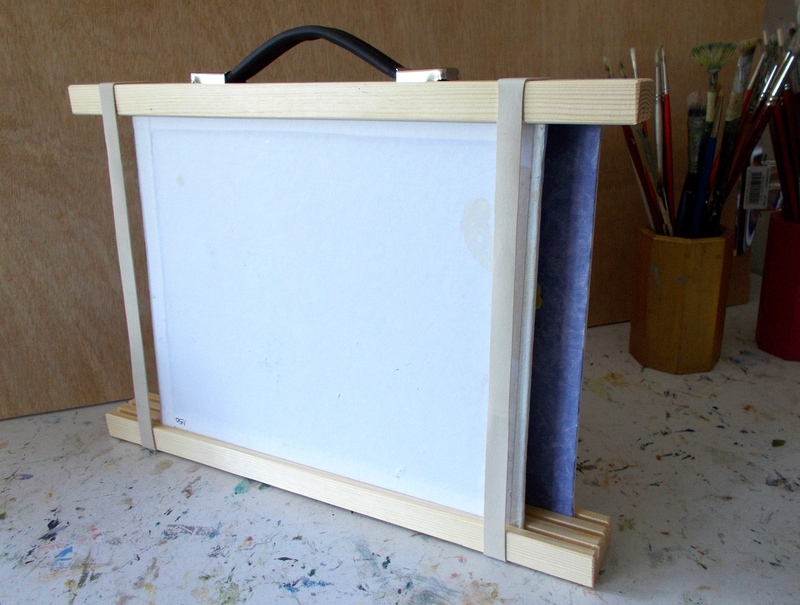 Canvas Carrier for wet, canvas boards, designed for transporting wet oil paintings easily and economically. My own design carrier for wet, canvas boards, simple but very effective, no thrills and unvarnished. 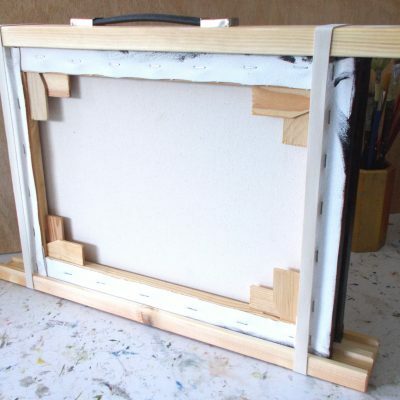 Allows you to carry two or three canvas boards with wet paint to the centre, face to face. Boards can be different sizes so long as they have one dimension in common i.e. 12″ x 10″ and 16″ x 12″ boards. It is possible to carry boards up to 24″ x 18″. The carrier has a case carrying handle and two large, strong, elastic bands hold the boards securely in the carrier. Note: Canvas boards do vary slightly in thickness so it may be necessary to wedge them with a little folded paper or card to help hold economy, thinner boards securely.